Villaraigosa's office blames violations on "program malfunction"
Los Angeles Mayor Antonio Villaraigosa -- apparently a heavy sleeper -- was on the defensive Wednesday about why he's been violating the city's watering law. At a news conference celebrating the city's reduction in water use, the mayor said his home's sprinklers were in use during illegal times because of a glitch in the system. 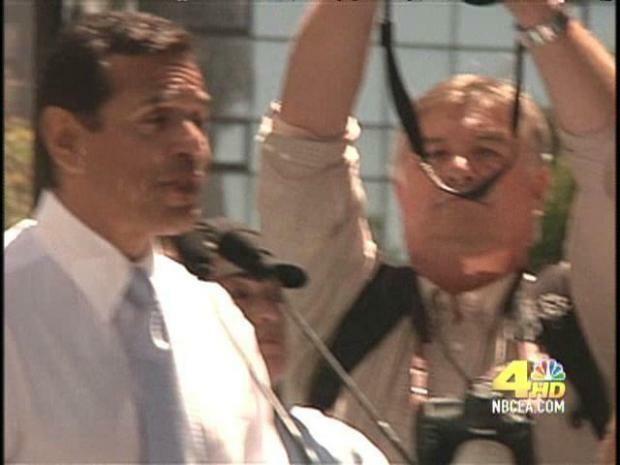 "Thank you for alerting me to this issue," Villaraigosa said Wednesday. The mayor told NBC4's Joel Grover that he was unable to hear the sprinklers because he's a heavy sleeper. "The sprinklers are so loud in your back yard, you can hear them from the street. How could you or your household staff not have heard them?" Grover said. "I sleep very heavily and I couldn't hear it," said Villaraigosa, who noted that overall water use at his home has decreased. On Tuesday, NBC4 released footage of sprinklers watering the mayor's official residence, known as the Getty House, during times when watering was not permitted. 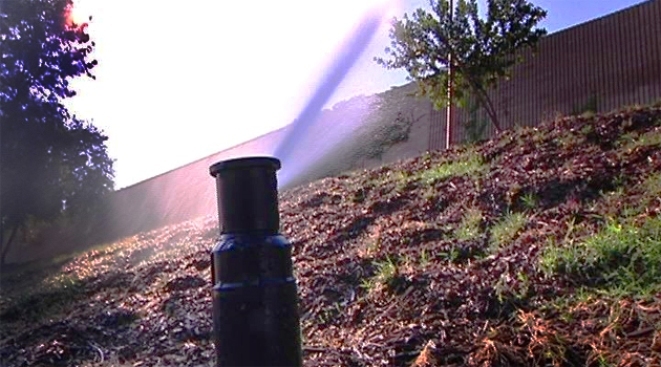 Because of the severe drought LA's facing, city law now says residents can only run their sprinklers on Mondays and Thursdays. Joel Grover reports on LA's mayor and some government agencies violating LA water restrictions. During the past month at the mayor's house, back yard sprinklers were running at 2 a.m. on a Friday, Saturday, Sunday and Tuesday -- all in violation of the law. During Wednesday's news conference, Villaraigosa said that last month water use dropped by an overall 17 percent compared to July 2008. As part of the campaign to reduce water use citywide, more than 900 warnings and citations have been issued since June by the LA Department of Water and Power. But this summer, none have been issued to any government agencies or officials caught violating the law. Back in July, NBC4 cameras caught Los Angeles City Fire Station No. 61 using its sprinklers at 7 p.m. nearly every night of the week. Also, the LA Department of Street Services has been watering street medians on illegal days. Yet the DWP hasn't issued any citations to government agencies, and the department's CEO, David Nahai, insists it's not giving any preferential treatment. Two months ago, NBC4 notified the DWP that Caltrans was using its sprinklers on illegal days along Interstate 5 in the north San Fernando Valley. But according to Caltrans, it has not been issued any warnings or fines from the DWP this summer. "It seems like Caltrans is getting special treatment when they are still violating the law," Grover said. "That is certainly not my intent as the head of this organization," Nahai said. "Are you going to issue them a warning or citation?" Grover said. "If they continue to violate the law, of course," Nahai said. Nahai said that most agencies are obeying the law, but the DWP could do a better job of policing lawbreakers. "I want to thank you truly. Thank you for all your work on this and keeping us all on our toes and making sure we do a better job," Nahai said. The Los Angeles Fire Department also thanked NBC4 for alerting it to the watering violations at Station No. 61. It's sorry for the violations and is now only using sprinklers on legal nights.